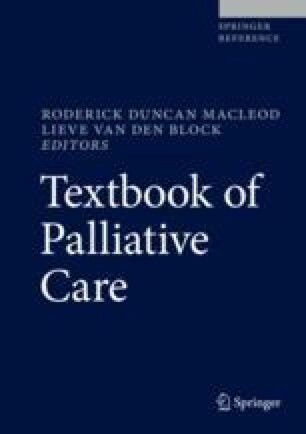 At a time when palliative care guidelines are advocating greater respect for patient autonomy and the inclusion of patients and families in decision-making with clinicians, families themselves have become increasingly complex and more broadly defined. Some families bond internally with one another and with the clinicians to best meet the needs of the patient despite the significant stress of facing the death of one of their members; others become more obstructively dysfunctional, jeopardizing patient care and creating stress in the healthcare system. Conflict may arise from the interaction between the nature and circumstance of the patient’s care and contextual family factors reflecting structure, dynamics, and prior history. Thorough family assessment can provide a basis for interventions to avert a crisis. Early recognition and management of potentially damaging family conflict is illustrated throughout this chapter by clinical vignettes. The published literature and the clinical experience of the authors are drawn upon to illustrate the management of situations that threaten to escalate out of control. The need for communication skills training for all staff involved in palliative care is highlighted.